Croatia midfielder Ivan Rakitic expects Portugal star Cristiano Ronaldo to have an uneasy night ahead of their Euro 2016 clash. Rakitic and Co. face Portugal, winless at the tournament so far, in a last-16 meeting in Lens on Saturday. The focus has, as usual, been on Ronaldo, who responded to critics with a brace against Hungary in his side's final group game. However, Barcelona star Rakitic was unwilling to focus overly on the attacker, saying the Real Madrid man had things of his own to worry about. "Portugal aren't just Ronaldo, they are a quality team with players who play at the best clubs," he told HNTV. "We don't want to think too much about Ronaldo, he can think a little bit about us. "Surely he won't sleep easily." In three previous meetings, Croatia have failed to avoid defeat – and have also never scored against Portugal. 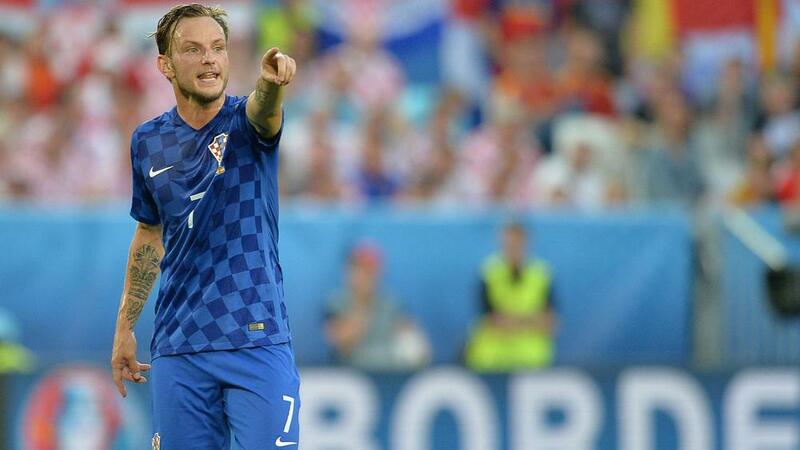 Rakitic said the knockout rounds were unpredictable. "Everything is possible in this round as it's just one game. Everyone can beat everyone," he said. "We'll fight for each other."